The lengthy documentary “Jane Fonda in Five Acts” (HBO, 8 p.m.) begins not with any men who define four of the five “acts” in which the film is divided. It starts with Richard Nixon on one of his tapes, just musing. For all her achievement as actress, activist, exercise guru and cultural icon, why begin with the only president who resigned to avoid impeachment? She had been aware of the Nixon comment since she wrote her own autobiography, “My Love So Far” in 2006. She had been followed for months by federal agents. Their comments came at the TV Critics Association summer press tour. It wasn’t the first time I had a chance to ask Fonda some questions. Thirty-seven years ago, I covered the world premiere of her film “On Golden Pond” in Omaha, where her co-star and famous father Henry Fonda had grown up. 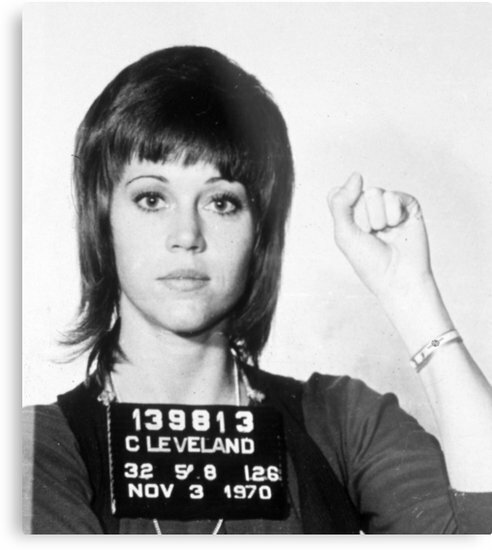 But a decade before that, I sat cross-legged at somebody’s house, also in Omaha, to hear the activist Fonda talk about her antiwar activism and visit to Vietnam. Her actions then were a turning point in what up to then was a pleasant movie acting career. She became a catalyst and target for those who opposed her viewpoint in a time that was even more divided than today. It’s no surprise that time is emphasized in the new documentary, but it may be a surprise that she is still a target of the right wing half a century later. Sure, there are those who approach her and thank her for her activism. “It makes me feel good,” Fonda says. “And the ones who aren’t coming from where you’re coming from, it makes me know that they still, after all this time, haven’t learned the nature of the war and why we fought it. And that’s sad. Fonda was asked why she agreed to have the film divided according to men in her life — her father Henry, who was cold to her, and her three husbands, Roger Vadim, Tom Hayden and Ted Turner. To do so, there were over 20 hours of interviews with Fonda alone. And her voice certainly dominates the film, which she says is “ very hard for me to watch actually. “It’s not easy, in a time like this, to talk about myself so much. I find it a little bit awkward,” she says. But there is a theme in the film, about change and reinvention. This entry was posted in Politics, Summer TV Press Tour, Television. Bookmark the permalink. Both comments and trackbacks are currently closed.